This is a consolidated post containing several lodging reviews. 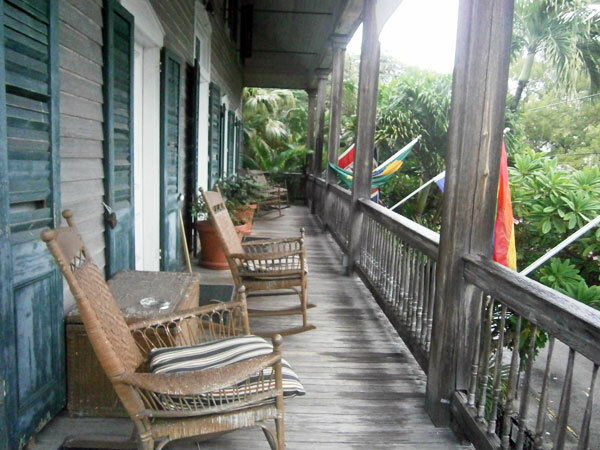 Scroll down to read about the PodShare Hollywood, the Talkeetna (Alaska) Hostel, and the Cypress House B&B in Key West. And if you’re looking to book a hotel room of your own, try the booking.com widget below. I’ve found some incredible deals with their service, including last-minute rooms on sale for up to 50% off! In my search for budget lodging in Los Angeles, I couldn’t have done much better than the PodShare in Hollywood. 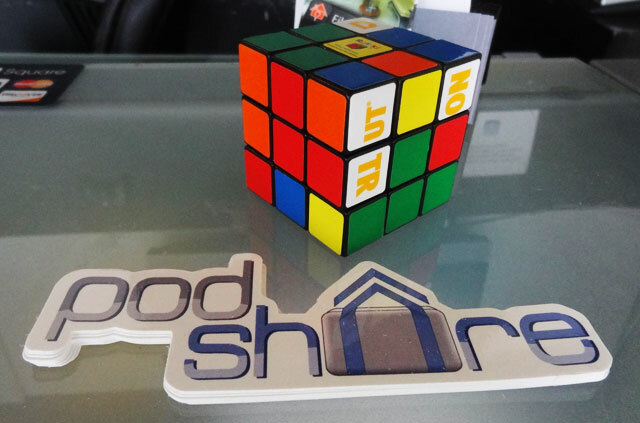 Designed by Elvina Beck and opened in January 2012, the PodShare takes the hostel concept into the modern world with amenities that make it especially traveler-friendly, like free computer usage and an almost unlimited supply of electrical outlets. Oh, and it’s also located right in the middle of Hollywood. You’re going to check out Hollywood during your L.A. visit anyway, so wouldn’t it make sense to stay right in the heart of the action? I stopped in to the PodShare to see for myself. The site consists of ten pods, eight singles and two doubles, meaning that only a dozen folks will be staying each night (though sometimes they’ll bring out an air mattress for an additional traveler.) 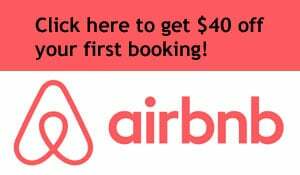 Single beds currently run $50 per night, while a double costs $70. Be sure to check their website for any promotions that may be going on. Guests – sorry, podestrians – write their names above their beds and put inspirational quotes on their personal whiteboards to encourage a friendly atmosphere. Some folks introduce themselves and hang out together, but it’s also fine to chill in your “pod” and do your own thing. There are free computers for checking email or looking up neighborhood hotspots. If you bring your own laptop, you can use the PodShare’s wifi. And while I was happy to enjoy a thin-slice dinner at the pizza shop down the street, for those who want to do their own cooking, a full kitchen is available. The ten beds are grouped together in one main room on two levels, and each pod has more room than you’d get in a hostel. There’s no battling your bunkmates for the right to recharge your phones or cameras, because each pod has its own set of electrical outlets. Now that is a luxury you don’t see in typical dorm-style lodging. Each pod comes with a flat-screen tv with Netflix, Hulu and Pandora and a set of headphones so everyone can entertain themselves without disturbing other guests. Now you don’t have to miss the latest episodes of Community and Family Guy even while you’re traveling! 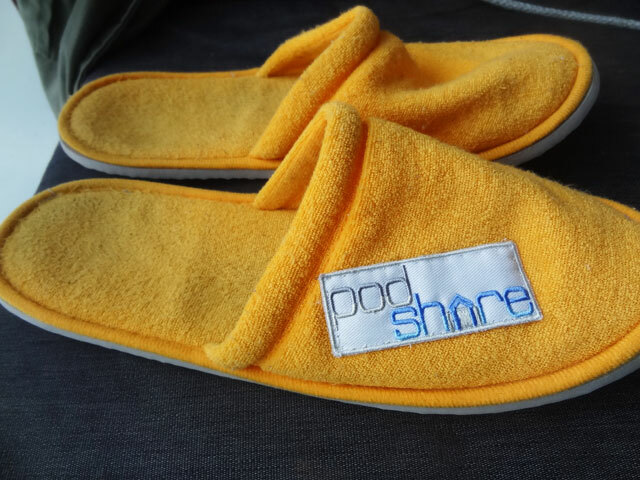 Then there are the little touches, like the PodShare slippers. Every pod contains a small storage space, though lockers are available if desired. At night, the entrance is locked for security and guests are given a code to allow them to come back as late as necessary. The only constructive advice I have for the PodShare is to add more bathrooms. One private bath/shower room is insufficient for 10 people, since all it takes is one person taking a 20-minute shower to make things very uncomfortable for others on the receiving end of nature’s call. Staffers said there are more bathrooms upstairs that are sometimes opened, and I would recommend putting those into use full-time. Aside from that, which shouldn’t be a major issue since you’ll probably be out seeing the city most of the time instead of hanging around inside, there’s not much to complain about. Located very close to the intersection of Hollywood and Vine, the PodShare is easily accessible via the red line subway train and numerous buses, which is how I got around during my stay. 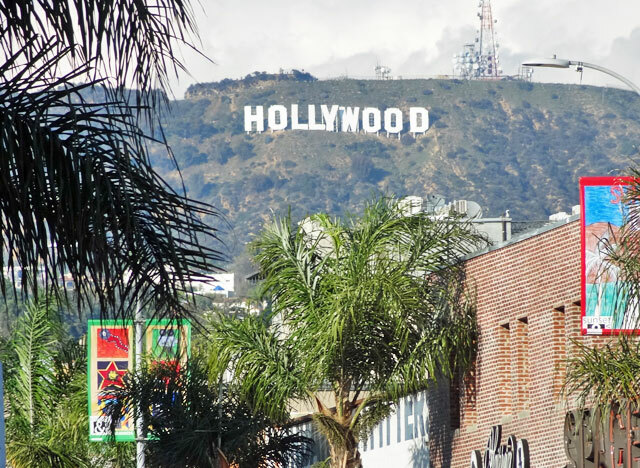 It’s a short walk to the Hollywood Walk of Fame, the Chinese Theatre, Madame Tussauds Hollywood, and all the other touristy stuff in the ‘hood that you have to see at least once. It’s also a five minute walk to iconic record store Amoeba Music and a couple blocks to Frolic Room, one of the best dive bars in the city. On Sundays, there’s a large farmer’s market at the end of the block. You don’t have to walk far to find some sweet Hollywood views. The neighborhood can be loud on weekends due to the awesome nightlife in the area. But if for some reason you to want to turn in early on a Saturday night, the Podshare provides earplugs. I slept like a log – though that may have had something to do with my exhausting hike to the Hollywood sign that afternoon. 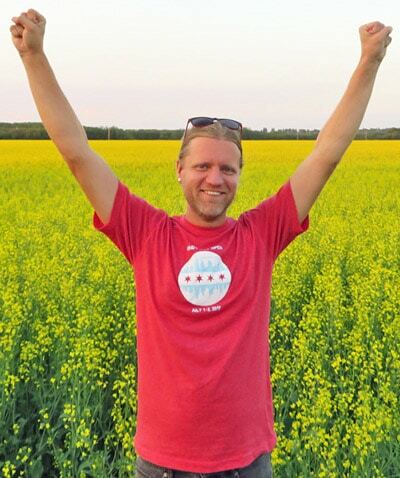 The concept is creative, the youthful atmosphere is enjoyable, and the location is excellent. Overall, if you’re looking for budget lodging in Los Angeles, the PodShare is one of your best options. If you’re traveling to Denali National Park in Alaska, you should really stop off in Talkeetna, the kooky town between Anchorage and Denali. It’s only 14 miles off the main road, and it’s worth the drive. The town doesn’t have a ton of lodging options, but perhaps the most affordable and fun is the Talkeetna Hostel, which presents a quirky vibe that matches the spirit of the city. This is generally how I view hostels: If you cannot accurately describe the place as “funky,” then it’s no good. 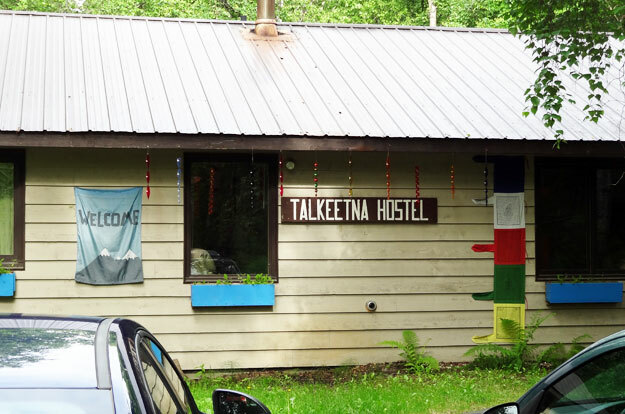 Hostels are supposed to be charming and full of personality, and the Talkeetna Hostel is just that. 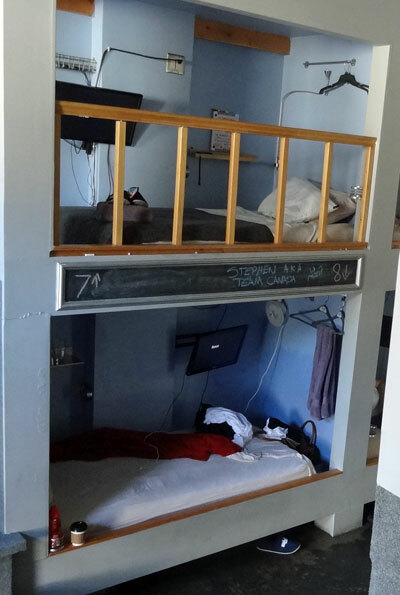 Bunks currently start at $22/night, while private rooms cost a little more. 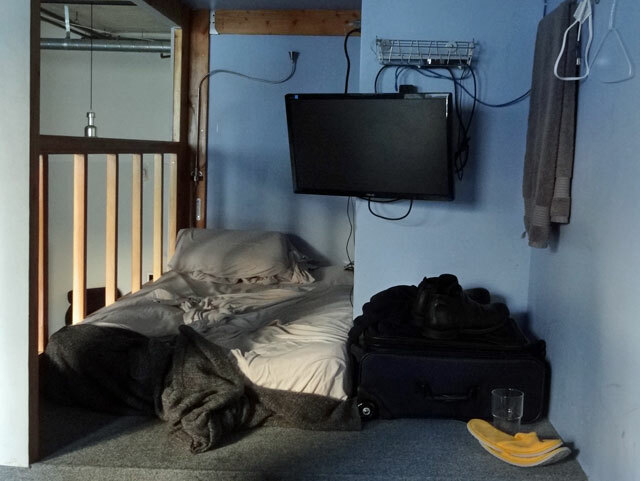 What’s cool about this hostel is that it offers several unique sleeping options. 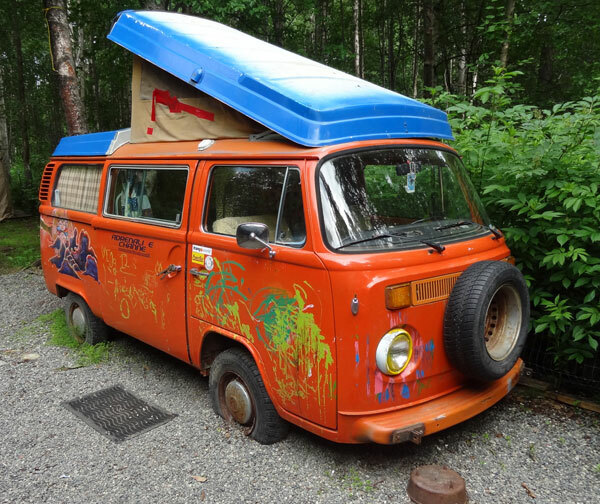 For instance, you can sleep outside in an old VW van that has been converted to a room. The thought of spending the night in a van brings back a lot of memories for me! If you’re on an even tighter budget, you can camp in your tent in the backyard for only $10 per person. 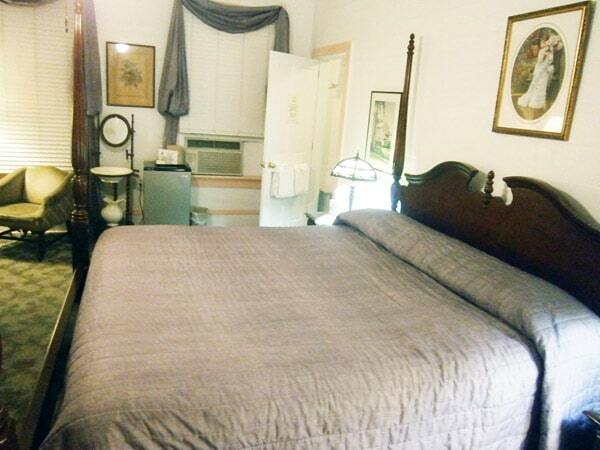 You won’t find more affordable lodging than that. Each room adds to the atmosphere, with posters and decorations that show off Alaska and its mountains. 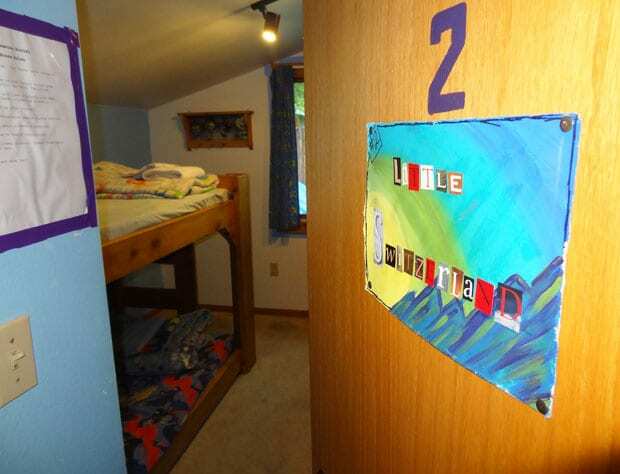 The rooms each have their own nicknames, like “Little Switzerland.” Don’t be surprised to find Sesame Street bedsheets on your bunk. 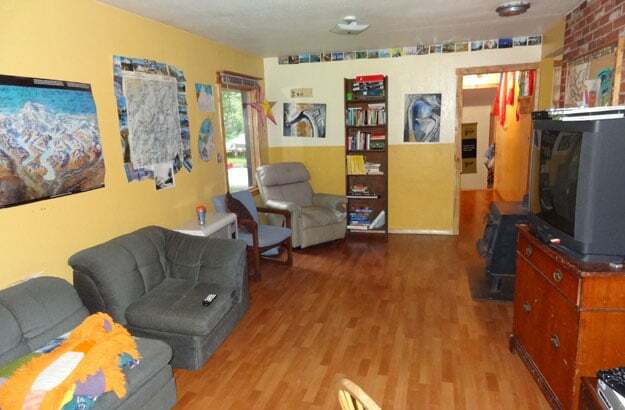 The hostel is located within walking distance of the downtown shopping area, the railroad stop and the local airport. Laundry is available, and the showers are clean and free. That’s worth noting because I found that many other hostels and campgrounds throughout Alaska actually charge up to 50 cents a minute for showers! Overall, the place is friendly, bright and a good value. If you’re looking for budget accommodations in Alaska on your way to Denali, the Talkeetna Hostel is a great choice. Find the hostel on Facebook and on their own website. 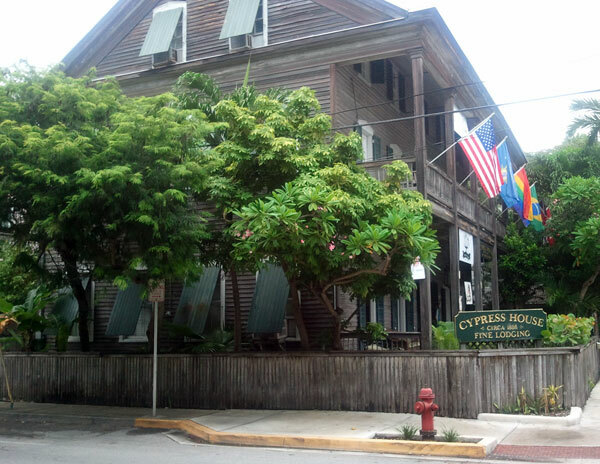 My two nights in Key West were spent at Cypress House, a cozy bed and breakfast inn just a few blocks off Duval Street, the heart of the city’s nightlife area. 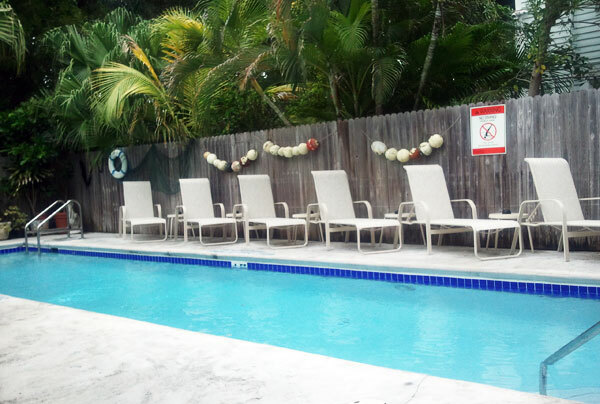 Cypress House is within walking distance of the Southernmost Point and all the other attractions in Key West. We stayed in a spacious second-floor room with a large bed, small reading area, flat-screen tv, dressers, and a bureau with robes. Who doesn’t love robes? One sure way to win my favor is with a nice breakfast spread, and Cypress House had that. Besides tons of fresh fruit, cereal and muffins, they had biscuits and hot sausage gravy, one of my favorite food items. I admit I ate an embarrassing amount of this stuff. There’s a late evening happy hour with free drinks and snacks. We took part in this one Sunday evening as they showed an NFL game on the tv outside in the gazebo. I love taking advantage of these perks. If you’re paying for them, you might as well get your money’s worth! The happy hour takes place at the pool, which is open 24 hours. It’s small and narrow, and only gets to about four feet deep all the way around, but it does the job if you want a late-night dip in the pool or need a quick cool off from the heat. Though it’s not a huge hotel, Cypress House has a locking gate on the front door for security. Much like being carded at a bar, having to unlock a gate to get into your inn is kind of annoying at first, when you stop and think about it, you’re actually happy about it. The lobby and kitchen area have plenty of information about local restaurants, beaches, watersports attractions, and nightlife, which included some program discounts for guests at the inn. There’s also an outside balcony, which I loved. It was nice to sit outside on the porch swing and people watch. I don’t know why, but I’m addicted to porches. The balcony is attached to the two front second-floor rooms, but anyone staying at the B&B can walk upstairs and go out there, so it’s accessible to all. The atmosphere was friendly and the guests clearly loved owner Dave Taylor, who was busy campaigning for the king of Fantasy Fest 2011, an annual Key West event, which he ultimately won. Cypress House has a couple friendly kitties and dogs roaming around the premises, adding to the homey atmosphere. As for criticisms, I can’t come up with too many. The television remote control wasn’t working (do those things ever work anywhere?) We could occasionally hear voices at night in the hallway, but they weren’t too distracting and that sort of thing is expected when you’re in the party town of Key West. I happened to come to Key West on a bad weather weekend, with torrential downpours that made wandering around the city a very wet endeavor. It was nice to come back and feel at home at Cypress House – and to relax and stay dry on the porch swing while it rained. When you’re unfamiliar with a city, it’s hard to choose where to stay based solely on websites and online descriptions. I’m glad we ended up at Cypress House. And super convenient for travelers. I will check this place out next time I’m in LA. It seems a bit pricey though, eh? Thank you for sharing this! I wouldn’t call it pricey for that area… it’s the cheapest lodging I found in the city of Los Angeles, aside from some sketchy hostels in Venice. They currently have a $40/weeknight special on their website so it’s a good deal. The slippers were a clever idea. Seems like a nice concept and a friendly little place. Loved the inspirational quotes thingy! Yes, it is a creative concept.